Last weekend I (Jessie Sulidis) got to experience tropical paradise like I’ve never seen before. I’ve been to luxurious tropical destinations but nothing beats the views, the people, the service of the beautiful Sandals Grand Riveria in Ochos Rios, Jamaica. The hotel is divided into two distinctive resort experiences; the Seaside Beach Club where we stayed at or the secluded Villas & Great House located on the mountain. The Seaside was amazingly romantic as it was lit at night like from a romantic movie and surrounded by ocean, mountains, fragrant gardens and ocean walks. I would definitely suggest this for honeymooners or couple in love! 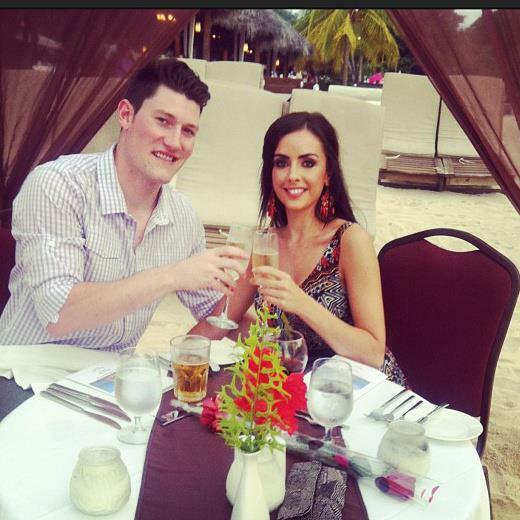 I got engaged at this beautiful resort and couldn’t have asked for a more beautiful, romantic evening. The pools are also majestic as each overlooks the ocean and mountains and all have a swimup bar. I highly suggest booking a morning at the resort Spa. We enjoyed a couple’s massage. They have amazing body treatments, massages, facials, and manicure/pedicures. 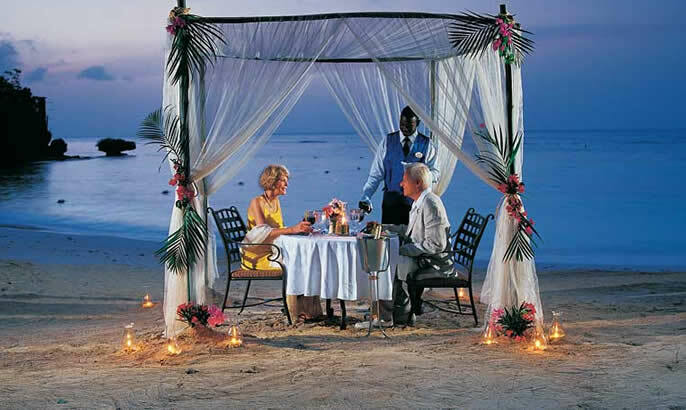 We also enjoyed a romantic candlelit dinner for two where you get your own private cabana set up on the beach with a butler that serves you hand and foot as the wave’s crash and the sun sets. This is where I was proposed to. It was stunning and so romantic. Another must is to visit the Dunns’ River Falls. Make sure you book the excursion that includes the catamaran as it’s an amazing experience and you can drink and dance on the boat before arriving to the falls. The Falls were stunning. 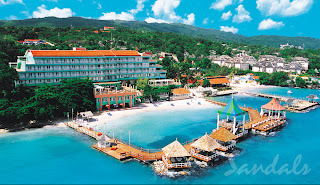 It’s a must see when visiting Jamaica. I have been to many high end resorts before but nothing beats the service and the people in Jamaica. They are all so incredibly friendly and really ensure you have a great time. The dinging options were incredible and they really capture the essence of fine dining at all 15 restaurants mixing from Italian to Caribbean to Japanese. I can compare the service to that of a classy 5 Star restaurant in NYC, LA, or Toronto!